A book is a gift you can open again and again! 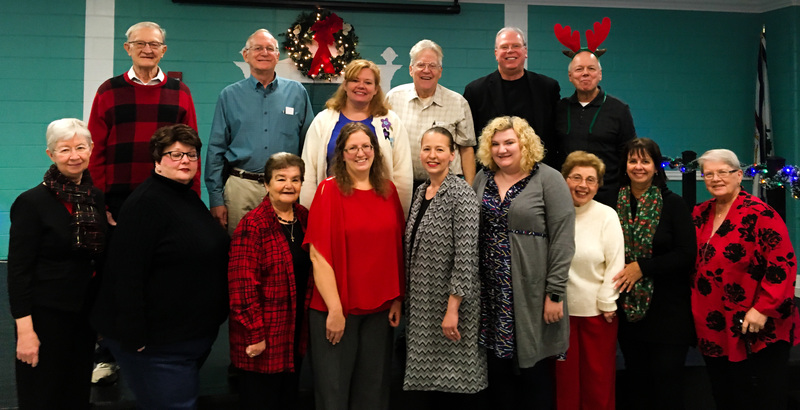 Harrison County Senior Center's "Meet the Authors"
On December 4th, I was privileged to take part in the Harrison County Senior Center's Annual "Meet the Author's" and their Annual Christmas Dinner. This is a wonderful opportunity for local authors to talk about their works and to sell a few books just in time for Christmas. 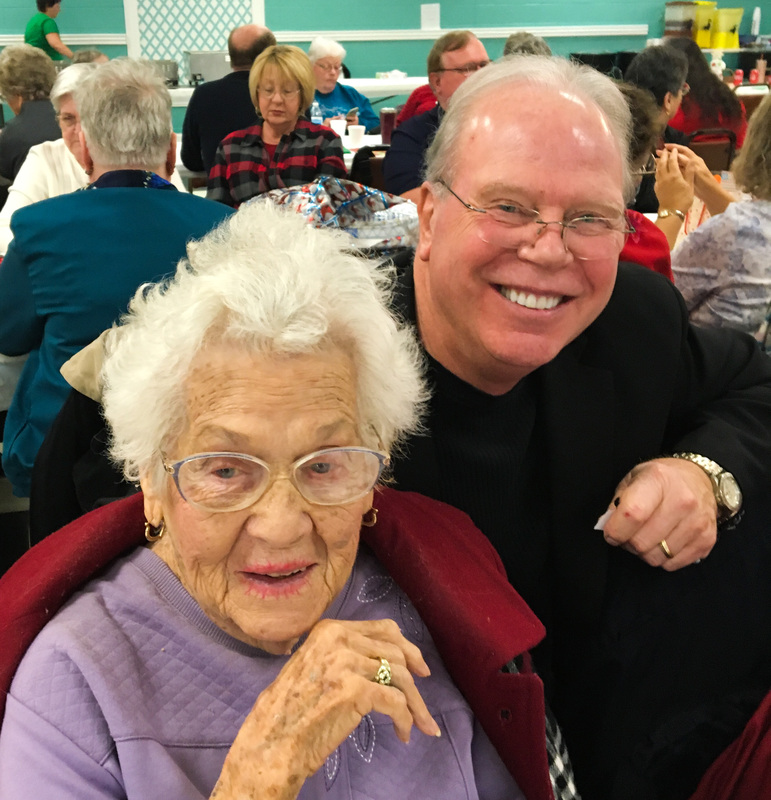 The dinner was a sell-out with everyone enjoying baked steak, mashed potatoes, green beans, salad, and desert. Following the meal, there was a drawing for several gifts donated by various businesses and members. Also, many books donated by the authors, were also raffled. 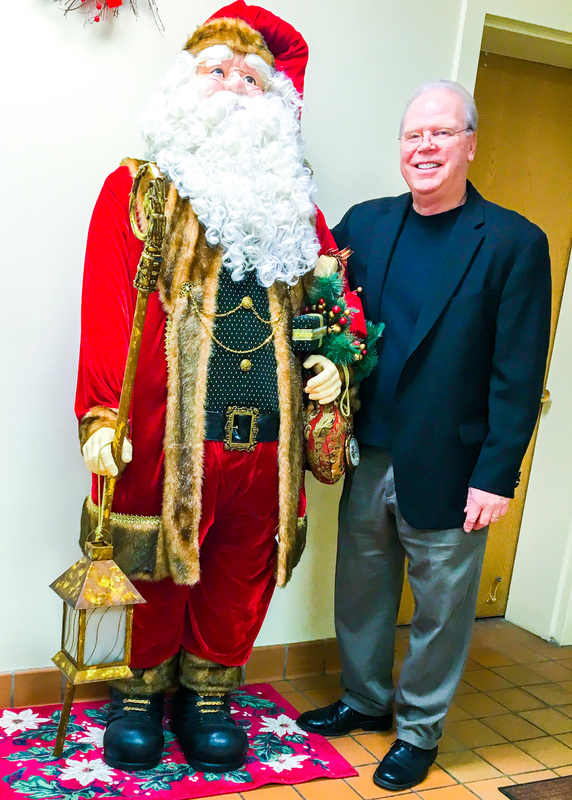 Guess who I ran into when I first entered the Senior Center? Here is a 'pano' shot of the entire group. We (authors) were setup on the left. The ballroom/auditorium is always brightly lit and festive. 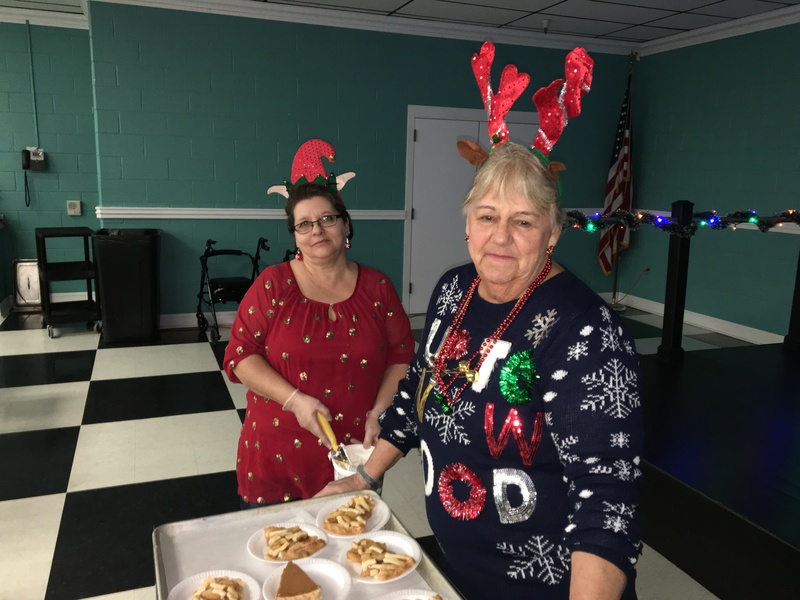 A small army of Santa's elves and reindeer served everyone. What a wonderful group. Here are just two of the many. Something unexpected, but of great interest was a program presented by the Federal Communications Commission on how to "Recognize and Avoid Spoofed Calls, Communicating During an Emergency, Consumer Connection Accessibility, Protecting Your Smartphone, and Dealing with Robo-Calls" Presenting was(l-r) Chief of Consumer Affairs, Lyle Ishida; that's our board president Bill O'Field with the red antlers; Deandrea Wilson, Consumer Education & Outreach Specialist; David Savolaine, Writer/Editor, Web & Print Publishing Division. Music was provided by the St Mary Elementary School Choir. A group shot of all the authors with our leader, Bill O'Field- top row, far right. He's the one with the antlers - again! As soon as I receive all the names, I will republish this shot on my Facebook page (Michael Lambiotte). As publicized: Almost every genre imaginable was present. Something for everyone! As I was walking about, I found two of my favorite ladies, Liz Carder(l) and Betty Blackshire. 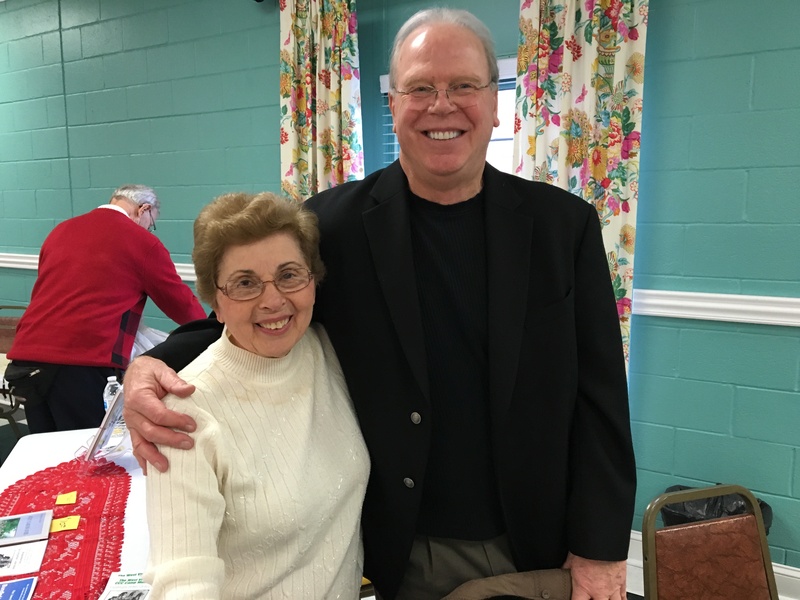 Both are regulars at the Senior Center and on the links of Sunny Croft Country Club. For me personally, this was the highlight of my day. I was able to sign and personalize a copy of my book, Life Through These Eyes, Vol II, which was won by Rosemary Cottrell. "The show must go on!" 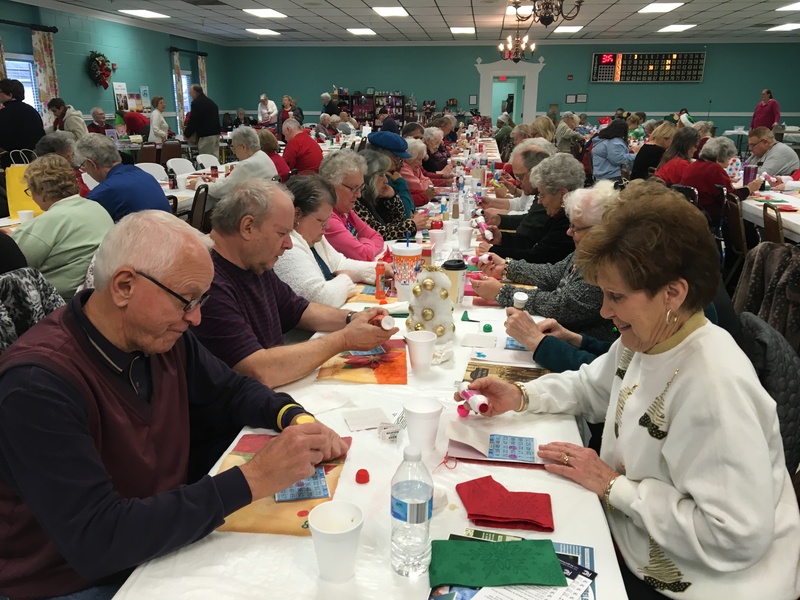 After the meal, book signings, performances, and presentations, members settled down to serious business - BINGO...for the remainder of the afternoon. That's Mike and Betty Blackshire in the foreground. 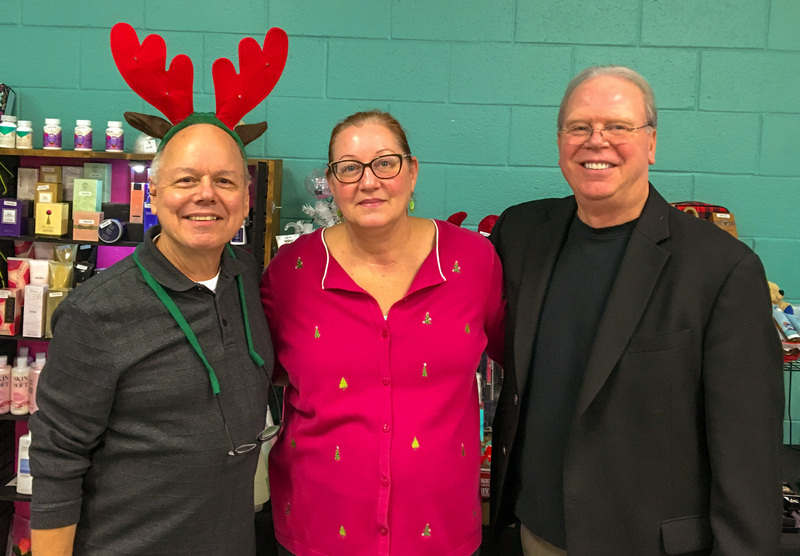 And finally, the "Heart & Soul" of the Harrison County Senior Center leadership - Board President Bill O'Field (yes, he still wearing his antlers) and Executive Director Beth Fitzgerald. I wish I could have included a picture of their small army of volunteers but, they would not stand still long enough. 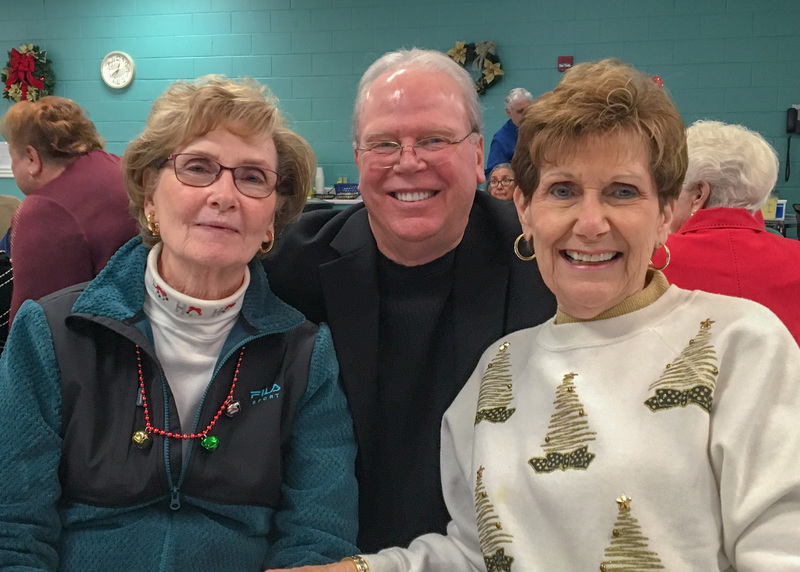 Thank you, Beth and Bill for a wonderful day at the Harrison County Senior Center. 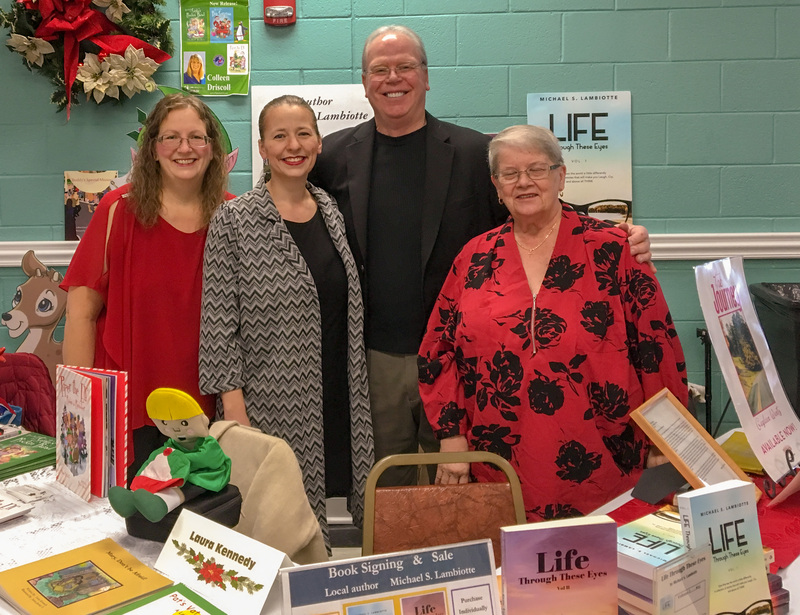 On a personal note: I am hoping to have one final book signing and sale before the holidays in Clarksburg, West Virginia. Keep following me on FB (Michael Lambiotte), Twitter (mslamb45) and on this site for details.